Wisconsin Dells is a city in southern Wisconsin that has been a popular Midwestern tourist destination since the 1850s. The city and its surrounding area have many great resorts, golf courses, and other fun things to do such as museums, waterparks, lakes, mini-golf, horseback riding, and zip-lining. Here are the best things to do in Wisconsin Dells, WI. Wilderness Resort in Wisconsin Dells is America’s largest and finest waterpark resort and is reserved exclusively for its guests. It is home to Wilderness Hotel, Wilderness on the Lake and Glacier Canyon Lodge. With four indoor waterparks and four outdoor pools, there truly is something for everyone, no matter their age or their activity choices. For toddlers there are small slides and erupting geysers both indoors and out, with plenty of lounge chairs nearby for parental supervisors. The sports-minded will gravitate to the indoor pool with basketball nets, or the outdoor pools set up for basketball and volleyball. 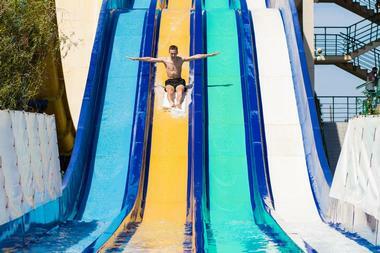 Thrill seekers can try out exhilarating drop slides. For relaxation there is a swim up bar, multiple lazy river rides, and an indoor/outdoor hot tub with lovely views of Lake Delton. Wilderness Resort lays claim to the largest wave pool in the United States: 13,000 square feet of swimming pool, with ample room for everyone, no matter how busy the day. Cave of the Mounds is a beautiful natural attraction just outside Wisconsin Dells near the community of Blue Mounds, Wisconsin. This natural limestone cave was discovered by quarry workers in 1939 and opened as a tourist attraction in 1940. Mineral formations called speleothems have formed from mineral deposits on the limestone and are breathtakingly lovely. 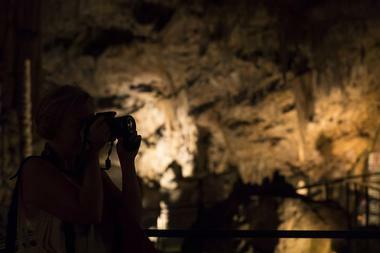 The cave can be explored on a guided tour with knowledgeable guides who can point out and explain the stalagmites, stalactites, columns, and other rock formations inside the cave. The tour is preceded by an educational video. A fine gift shop selling rocks and crystals is available, and the park that surrounds the cave has walking trails, picnic areas, and a rock garden. Christmas Mountain Village is Wisconsin Dells' premier golf and ski resort, offering a 27-hole championship golf course, downhill and cross-country skiing, snow tubing, and snowshoeing. 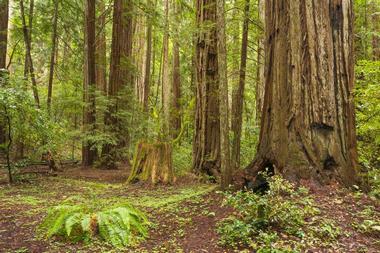 The resort has log cabins, villas, cottages, townhomes, and a campground. Both indoor and outdoor pools are on site, along with hot tubs for warming up after a chilly day on the slopes. Novices can take advantage of ski lessons and bunny hills designed with beginners in mind. The resort has a sports bar at the top of the hill overlooking the golf course and the ski slopes. Special events are always welcome at Christmas Mountain Village; it hosts meetings, conferences, and is a perfect backdrop and event space for weddings. 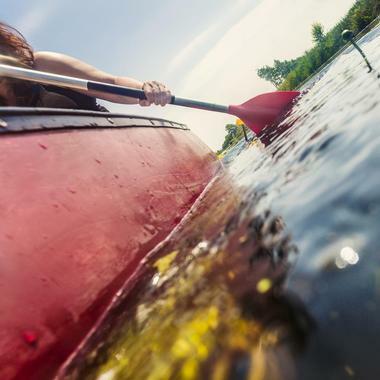 Boat tours of the Wisconsin Dells have been a popular tourist activity since the 1850s, with people boarding rowboats to take in the glacier-formed 5-mile gorge and its sandstone formations, which date back to the Cambrian era, some 500 million years ago. Tours are available of both the upper and lower gorge of the Wisconsin River; the two are separated by a dam. The upper gorge tour is the more spectacular, taking in towering cliffs topped by pine trees and notable sandstone formations; there are two stops, one to explore a cavern known as Witches Gulch and another to watch a trained dog leap across a gully in the cliff face. Also offered are sunset dinner cruises, which include dinner, music, spectacular views, and a torch-lit stroll through Witches Gulch. The friendly assistants will aid in the search, so that nothing gets missed, and will knowledgeably explain what treasures you've unearthed. It is a great outing for all ages. 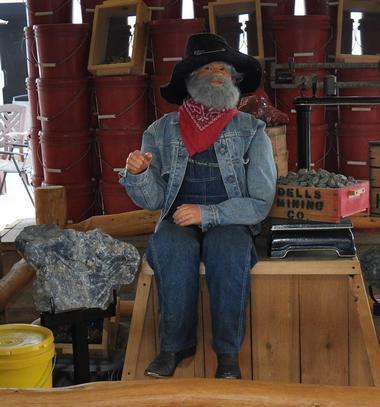 Visitors have the option of having their freshly mined gems set in either 14 karat gold or sterling silver jewelry and can shop for souvenirs in the gift shop. There are two locations for Dells Mining Co. and the Broadway store is open all year round, while the Wisconsin Dells Parkway location is open from mid-May until mid-September. Dells Watersports is primarily a watercraft rental facility. Visitors to the Wisconsin Dells area can rent jet skis, ski boats, pontoon boats, canoes, single and double kayaks, and paddleboards. The store supplies Lake Delton, Mirror Lake, and Castle Rock Lake. In addition to rentals, the company also organizes tours. There is a 27-foot pontoon boat that can be chartered and which is perfect for parties, weddings, and company outings. Guided sunrise kayak trips are led by knowledgeable guides who can point out the local wildlife and explain some of the history of the area. There are also early morning paddleboard trips that incorporate both yoga and stretching. The H.H. Bennett Studio, opened in 1865, is the oldest business in Wisconsin Dells and the oldest photographic studio in the United States. It was started by renowned photographer H.H. Bennett, a Canadian-born photographer and innovator who developed stop-action photography and an ingenious revolving solar darkroom, which is now housed at the Smithsonian Institution. 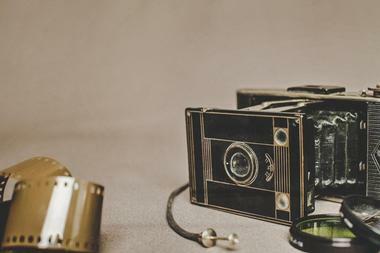 Visitors to Wisconsin Dells may tour Bennett's old photography lab, which still has his original cameras and darkroom equipment, and may look at the many interesting displays in the photography museum. Bennett's work as a photographer was instrumental to the tourism industry in Wisconsin Dells; his images drew people from all across the United States and from around the world. Kalahari Waterparks is part of the Kalahari Resort & Convention Center and includes both indoor and outdoor waterparks and an indoor theme park. The outdoor waterpark is called the Zambezi and is open from Memorial Day until Labor Day. 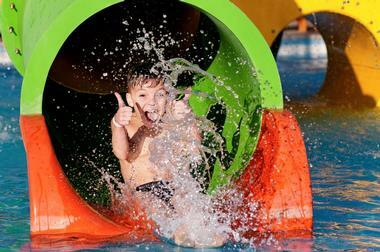 It offers an exciting mixture of slides, a lazy river, a hot tub, swimming pools, and a children's waterplay area. Lost Canyon is the longest and deepest canyon in Wisconsin. Since 1956, this family-owned and operated business has been giving tours of the canyon in a 15-seat carriage drawn by majestic Percheron horses. 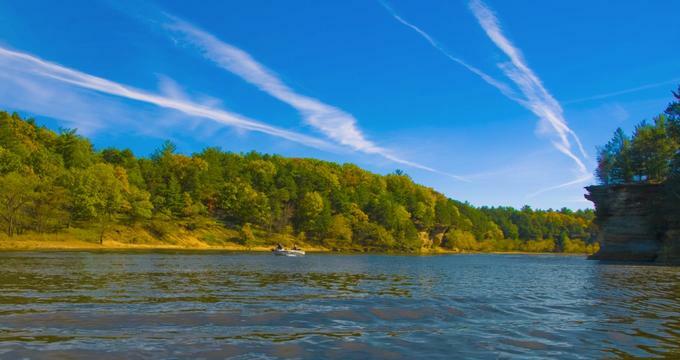 The half-hour tour brings visitors from the south shore of Lake Delton and through the canyon, giving them views of cliff-walled gorges, beautiful rock formations, and stunning scenery. The informative and friendly guides happily talk about the history and geology of the canyon and the wider Wisconsin Dells area. Tours run from mid-April through October and there is a small gift shop at the tour's starting point. 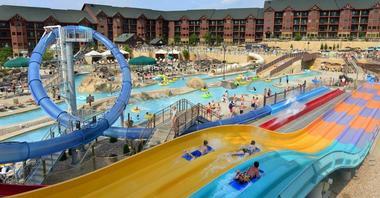 Noah's Ark Waterpark is the largest in the Wisconsin Dells area; it has 51 slides and something for every age group. For thrill-seekers, there are four raft waterslides in complete darkness, a watercoaster – a quarter-mile-long combination of waterslide and rollercoaster – and a 10-story drop zone. Ducks, or DUKW as they were first known, are amphibious vehicles designed by the Allied forces for use in WWII. The first Ducks were used in Patton's invasion of Sicily, and they were heavily relied upon during the D-Day landing. In 1946 a trio of Wisconsin Dells residents bought some Ducks at an army surplus sale and started giving tours of the area's land and water sights. 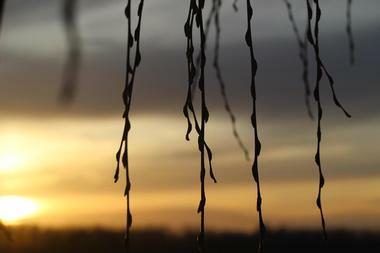 That same tour company is still operating 70 years later, with a fleet of 90 Ducks and its own exclusive trails through the Lower Dells Scenic Park. The tours take visitors through that park and out on the Wisconsin River and Lake Delton, with informative guides narrating and entertaining. 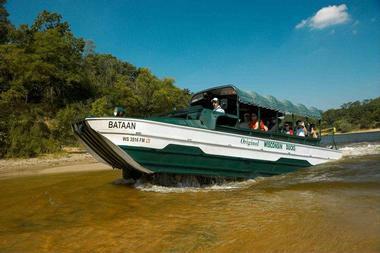 Beautiful views, wildlife sightings, and much fun are to be had on an Original Wisconsin Duck tour. Red Ridge Ranch is a horse ranch that has trained many award-winning horses and which offers guided trail rides to visitors. 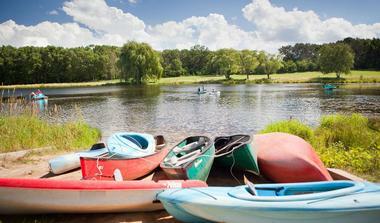 The 1-hour guided tours take riders through farmland, wooded hills, and along the banks of the Lemonweir River. 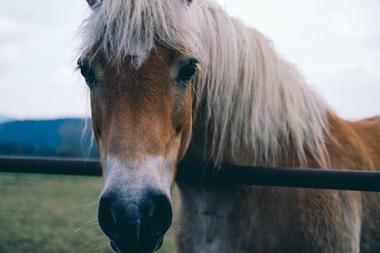 The ranch takes great pride in their well-cared-for animals, and they guarantee quality rides on quality horses. For young children, there are pony rides, while advanced trail rides can be reserved for experienced and confident riders. In the summer there are horse and wagon tours, with each wagon holding 15 people; in the winter there are horse and sleigh rides, which include a warming drink of hot chocolate. Summer day camps and camping with horses are annual events much loved by residents of the Wisconsin Dells area. For all those who love fishing and the great outdoors, here is a new way of experiencing fishing on the pristine Wisconsin River. Dedicated and enthusiastic guides thoroughly train visitors on their choice of traditional bow or crossbow; all equipment is provided when a tour is booked. Bow fishing is exciting, and the beauty of the Wisconsin River, with its rock formations and wildlife, makes the trip even more pleasurable. All tours are private and must be booked in advance; there are morning and afternoon tours as well as illuminated night tours. Up to 12 people may be accommodated at one time. 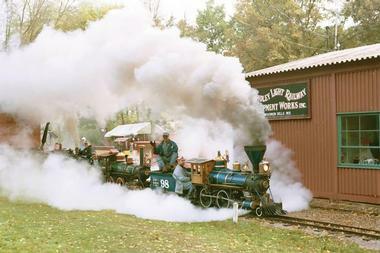 The Riverside and Great Northern Railway is a living museum dedicated to operating and preserving locomotives and passenger cars made by the Sandley Light Railway Equipment Works from 1950–1980. Opened in 1990 and almost entirely volunteer-run, this light railway's buildings and cars have been lovingly preserved and restored and offer steam train rides to interested visitors. The ride is a favorite of children and adults and winds through a 3-mile course through woodlands and canyons and beside the magnificent rock faces that front the Wisconsin River. The museum has trains to look at and tour, informed docents to answer questions, and a train memorabilia and souvenir shop. Rocky Arbor State Park is a 244-acre facility protected by the state because of the striking walls and ledges that have formed there as the sandstone eroded. Open for camping between Memorial Day and Labor Day, the park has 89 campsites, including 18 with electrical hookups, as well as a playground, modern restrooms, drinking water, and showers. The park's main gate is closed during the off-season but visitors may leave their car at the gate and enter the park on foot. It is a great location for picnicking and for moderately strenuous hiking, with trails winding through wetlands and up the steep slopes of the bluffs. Dogs are permitted in the park as long as they are supervised and on a leash. 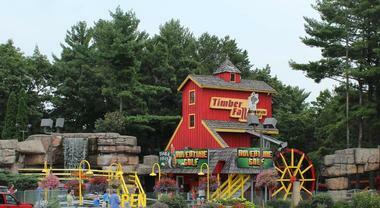 Timber Falls is more than just a mini-golf course. It does have four great mini-golf courses in the shade of pine trees on bluffs overlooking the Wisconsin River and a total of 72 holes, but it also has the Hellcat Roller Coaster, which is a thrill ride featuring 10-story drops, a log flume that guarantees every member of the party gets thoroughly soaked, bumper boats, and a petting zoo for little tots. Timber Falls is also home to the Skyscraper, a 360-degree swing that races by at 60 mph and hits 4 Gs 160 feet off the ground. There is a picnic pavilion so that visitors can bring their own food and drinks. The Tommy Bartlett Exploratory is a hands-on science and technology museum with over 175 different exhibits that is geared particularly towards children. It is the only place where visitors will ever be able to explore a Russian MIR space capsule both inside and out or check out the tiny Mercury, America's first manned spaceship. Visitors with adrenaline to spare can ride a bicycle across a tightrope or sample virtual reality as they try out hockey, soccer, basketball, and snowboarding. The museum has a giant lever that demonstrates how a lever and fulcrum enable even the smallest of visitors to lift a 5,000-pound vehicle, and a generator that simulates the inside of a thundercloud, causing the hair of all who come near it to stand on end. Monk's Bar & Grill has been a Wisconsin Dells tradition since Gustave and Helen Heineke opened it in 1947. Residents and visitors gather here for the excellent food, the friendly service, and to watch Wisconsin Badger and Green Bay Packer games; the restaurant is filled with Badger and Packer memorabilia. The restaurant has three stories; the top story is often used for private functions or for weekend live entertainment. The food has only gotten better with the years. 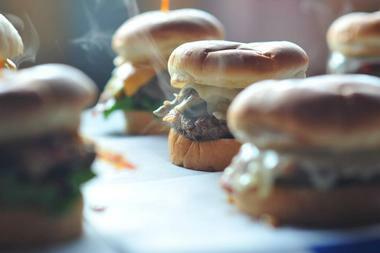 Popular appetizers are deep fried pickles, cheese curds, hot braided pretzels, and onion rings, while main courses feature burgers served with beer-battered fries, hearty sandwiches, and huge salads. The restaurant welcomes families and has high chairs and a children's menu. 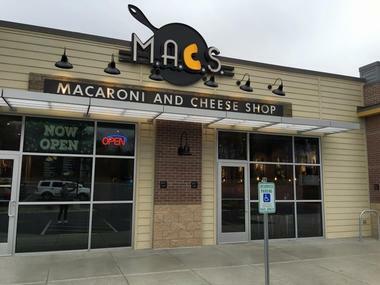 The Macaroni and Cheese Shop is casual, fresh, and serves comfort food. In its rustic industrial interior, diners can enjoy an original macaroni and cheese made of cheddar and mozzarella or one of the restaurant's adaptations to the old recipe. Mama's Mac contains fried hot dogs; the Loaded Baked Potato Mac is just as it sounds; the Popeye Mac includes provolone, spinach, and sautéed mushrooms and onions; and the Jalapeno Popper Mac is served with pepper jack, jalapenos, bacon, and cream cheese. There are many other possibilities. Sandwich lovers will adore the hearty four-cheese blend on each of their signature sandwiches, and there are salads as well as a menu just for children. Do check out the wall mural that depicts the history of the cheese-making industry in Wisconsin. 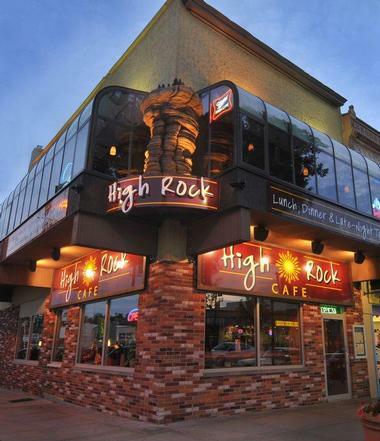 The High Rock Café is run by two Wisconsin Dells natives who travelled the U.S. and brought back the best of what they learned to the restaurant they opened together. This restaurant is a lovely modern place and has a second-floor seating area with big windows and terrific views. Here, diners will find creative American food at its finest. Appetizers include jumbo crab cakes, calamari, ahi tuna, bruschetta, spring rolls, and varied soups and salads. Both at lunch and dinner the menu includes sandwiches, wraps, fish tacos, and pastas, with gluten-free and vegetarian options available. The dinner menu has entrees such as chicken and waffles, steak, salmon Oscar, meatloaf, and walleye. The desserts are decadent and worth a trip themselves, and a children's menu is available. Wisconsin Deer Park is a 40-acre petting zoo with over 100 Virginia white-tailed deer to feed, stroke, and spend time with. These small deer are not shy and will eat out of a visitor's hand. All ages of deer are represented, from young fawns to full-grown adults. The deer park has been open for 50 years and is family owned and operated; they take good care of their animals. 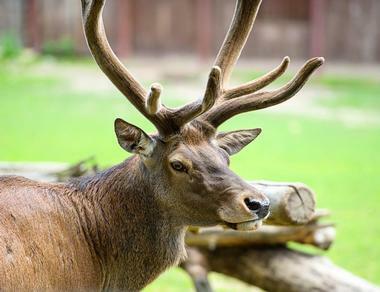 Aside from the deer to feed, there are many other animals to look at here: American elk, American bison, European fallow deer, Japanese sika deer, goats, game birds, peacocks, emu, llamas, lemurs, horses, and pigs. The Wisconsin Deer Park is open from Memorial Day to Labor Day and has a snack bar and a gift shop. Wisconsin Dells Trolley Tours are the fun way to see the Dells. 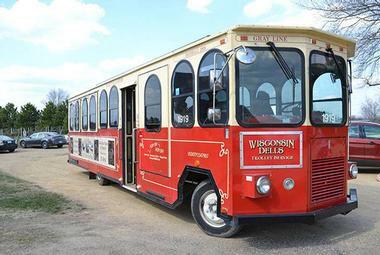 Aboard historical trolleys, groups of visitors can learn about the history of the Wisconsin Dells area, go on a shopping outing, or kick back and relax on a party trolley. The Winery & Gourmet Lunch Tour takes visitors to Fawn Creek and Baraboo Bluff wineries for tastings and then to a fine restaurant for lunch. The Beer & Distillery Tour pairs tours and tastings at the Dells Distillery and the Port Huron Brewery with an excellent meal. 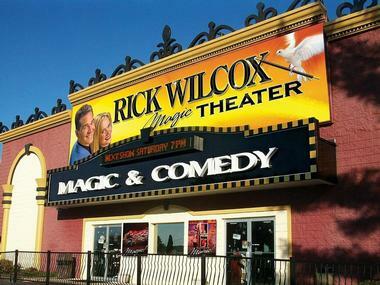 There is a shopping tour that takes in the outlets in Wisconsin Dells and a trip to Baraboo. The Haunted Ghost Trolley Tour runs from June 1 to October 31 and includes haunted houses and a very spooky cemetery. Dells Mining Co., Wisconsin Dells, WI, Photo: Dells Mining Co.